I just learned today that the first ever written extradition agreement – and peace treaty- was written in Egypt centuries ago by Pharaoh Ramesses II (The Great) between the Egyptians and the neighboring Hittites in 1259 BC. It is the world’s oldest and first extradition treaty. Mostly known as the Treaty of Kadesh, after the battle of Kadesh fought 16 years earlier, the agreement bound both sides to repatriate criminals and political refugees from the other side. 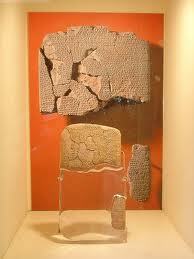 It was concluded between Egyptian Pharaoh Ramesses II, and Hittite King Hattusili III. The purpose of the treaty was to establish and maintain peaceful relations between the parties. In Egypt it was inscribed on the walls of temples in hieroglyphics, while in the Hittite capital of Hattusa (in present day Turkey) it was preserved on baked clay tablets. Archaeological excavations at the Hittite royal palace uncovered it among the palace’s sizable archives. 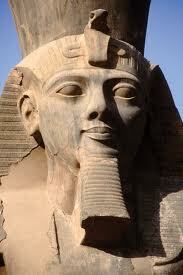 The Egyptian version of the peace treaty was engraved on the walls of Pharaoh Ramesses II’s mortuary temple in Thebes. Translation of the text revealed that this engraving was originally translated from the silver tablet given to Ramesses II, but had since been lost to contemporary historians. The scribes who engraved the Egyptian version of the treaty included descriptions of the figures and seals that were on the tablet that the Hittites delivered. A complete version of the Hittite text is currently housed within Istanbul‘s Ancient Orient section of its Archaeological Museums. Think about it, our ancestors the Egyptians were quite ahead of time… they even thought of extradition. As the likes of Julian Assange or Edward Snowden run around the world in search of a place with no extradition, it is good to know that ancient Egyptians were men of honor, and light who had thought about such a law centuries ago.